For 40 years, the Exell family has continuously been a leader in wireless technology in the region. Today as Touch Unwired, the tradition continues. 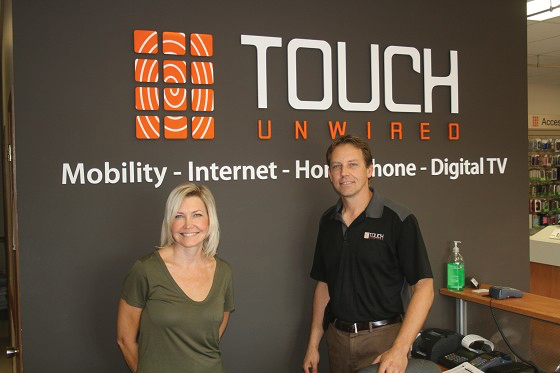 With 3 locations for your convenience, Touch Unwired continues to be not only Tbaytel’s number one dealer but also the largest in Northwestern Ontario. In addition to carrying great Tbaytel products like Digital TV, Home Phone, Internet and, of course, Mobility and accessories, Touch Unwired also provides paging and satellite phone sales and rentals.